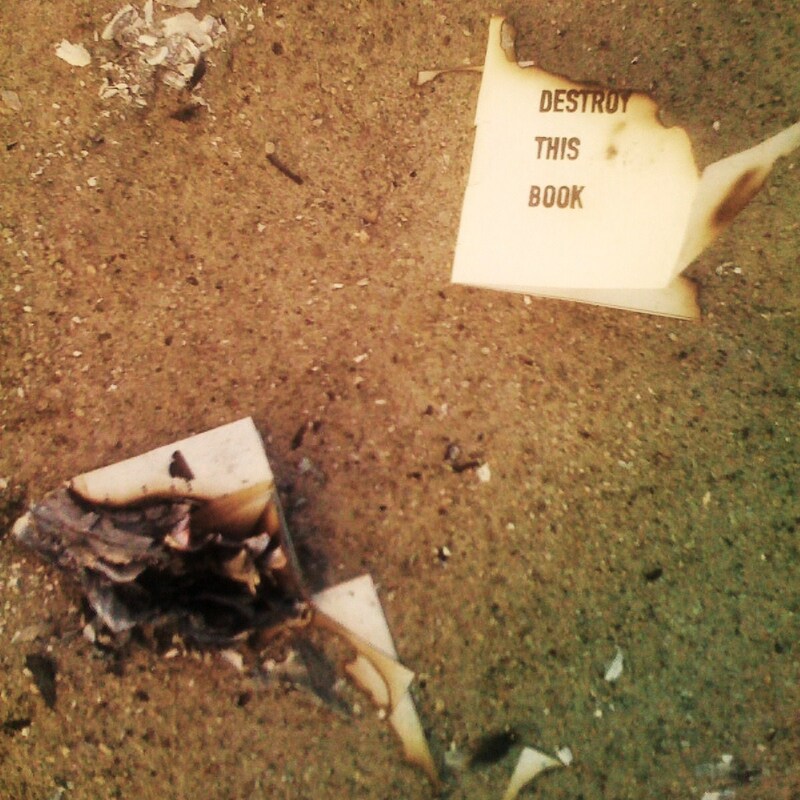 Don’t Forget To Document Your Book’s Destruction! The first batch of destroyed books is beginning to trickle (waft?) in. This one was destroyed by Oscar Moralde. It appears he resorted to stomping on it after several attempts to get it to light. Which raises the question: are some beliefs more flammable than others?